What I like about my lashes is that I feel as if they accentuate my eyes. I am constantly getting compliments so that reassures me that they look really natural. 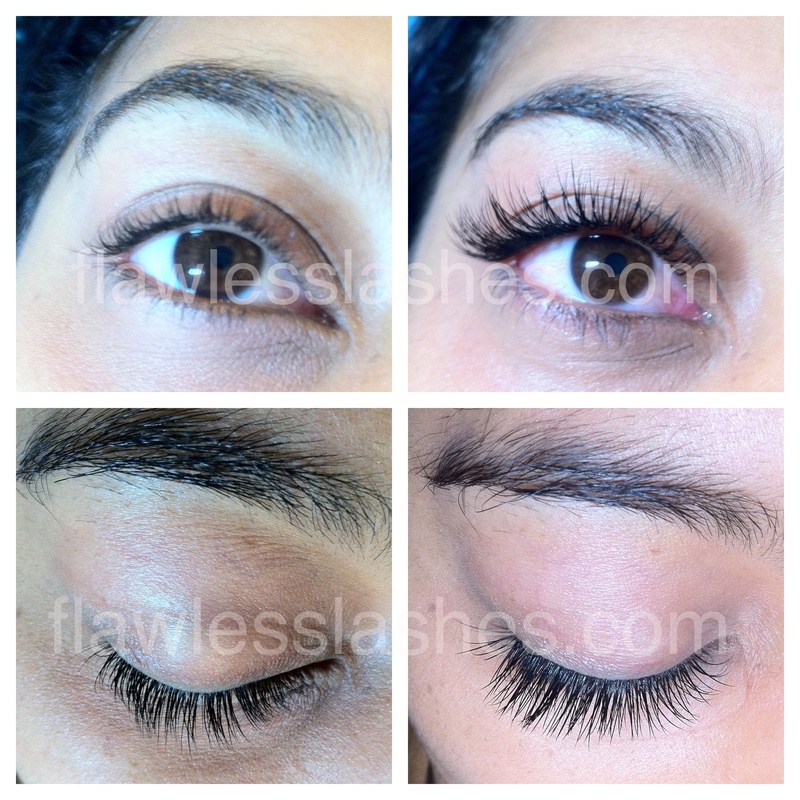 I just think they make my lashes more luring! As for my routine…I gently wash my lashes in the shower every night with baby shampoo (I simply transferred the shampoo into a travel pump. I use two pumps). Afterwards, I blot them off and apply Revitalash eye lash conditioner to the base of my lashes. If I wore heavier eye makeup that day and need some reinforcement I’ll also use Xtreme lashes eye makeup remover (after the shampoo).